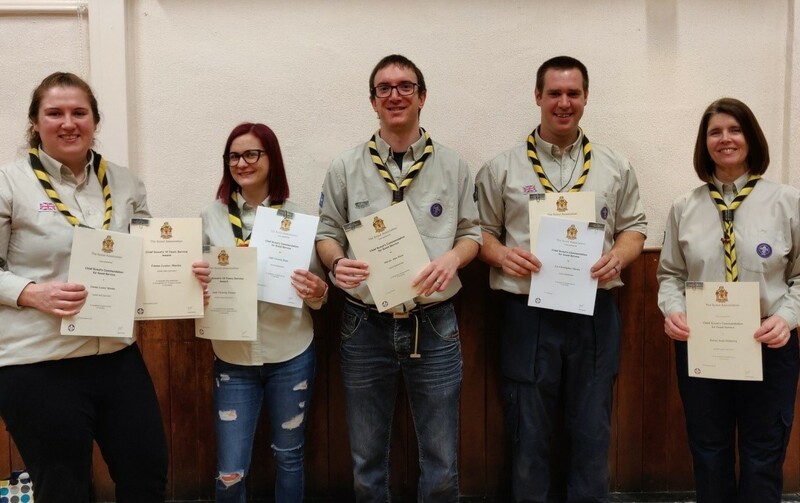 We were thrilled to be presented with Chief Scout's Commendation for Good Service, and some 10 Year Service Awards. Towing Licence: Congratulations to Martin who has just passed his towing test so we will be making even more use of our trusty trailer. Over the Summer we hope to smarten up the trailer with some branded vehicle livery. We've had some new enquiries for Beavers recently and have decided to hold a waiting list for those who would like to reserve a place but are not quite old enough to start. Please let us know if you want to be added to the list. Girls and Boys can join when they are approaching 6 years of age. We often find that people who are new to Hunsdon like to join in with Beavers as their children can meet new friends here even if they might not be going to Hunsdon School. We're looking forward to the Easter Egg Hunt and have some big adventures coming up later in the year with a District Beaver camp at Tolmers, and a Sleepover at Chauncy School. It's also not long to St George's Parade, and we've picked a date to run our own camp in a lodge with bunk beds and dorms, in September at Skreens Park. This camp is such fun, great value and we'll have the whole lodge to ourselves! Beavers is the training ground for Cubs - place to start growing your confidence, making friends, playing games, learning new skills and collecting badges on the way. We are currently offering free trial sessions so do get in touch and we can arrange a time for you to come along. Some of our oldest Beavers have been invited to Cubs in two weeks time to meet Fudge the Hearing Dog, so we're really looking forward to that. Astronomer: We've been having fun learning about planets and stars, and the stories behind some of the constellations. We know how to find the Polaris the North Star, and why it's also known as the Guiding Star, and we took part in Star Count 2019, a project run by the Campaign to Protect Rural England who are collecting statistics about light pollution. We had to count the stars within the four corners of Orion and submit the results online. The data is being used to create new maps showing where the darkest skies are and where the most stars can be seen. This will help CPRE highlight the problem of light pollution, which is diminishing our view one of the most magical sights the countryside can offer. Anything under 10 indicates severe light pollution - the night we counted we could only see 8 but as we carried out our count in the park our results may have been hampered a bit by the vicarage lights! Camping: We've got a fabulous 2 night camp lined up for June, with climbing, abseiling, crate stacking, kayaking and lots more. If there are any 8-10.5 children in Hunsdon who are not already Cubs it would make sense to join us now so that you can settle in before camp comes along. The cost will be £35-£40 which will cover all camping and activity fees plus food for the weekend. 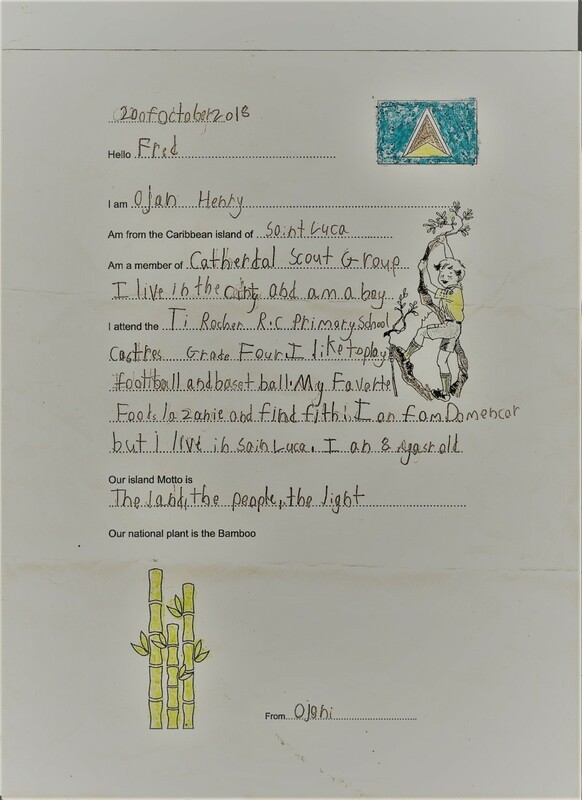 International Activity Badge: The Cubs were excited to open their letters from the Cubs in St Lucia. We'll be writing back to them later in the year. Time for new Leaders: If you've been wondering what to do with a spare hour or so every Friday evening, please look our way. Everyone has something to offer Scouting - you don't have to come every week to be helpful, and you wouldn't have to camp if you don't fancy that part. We'd just love to have an extra pair of hands, so please let us know if we can put you on our list as an Occasional Helper. Cooking Competition: The team did well cooking their 'Free From' menu, finishing in a very respectable 5th place. First Aid: Scouts have done a refresher on accident scene and recovery position, and ran a team relay up the High Street to check how quickly we can collect the AED from the Fox and Hounds should we ever need to in an emergency. After half term we will see the slightly longer evenings and better weather meaning more adventures are on the way.